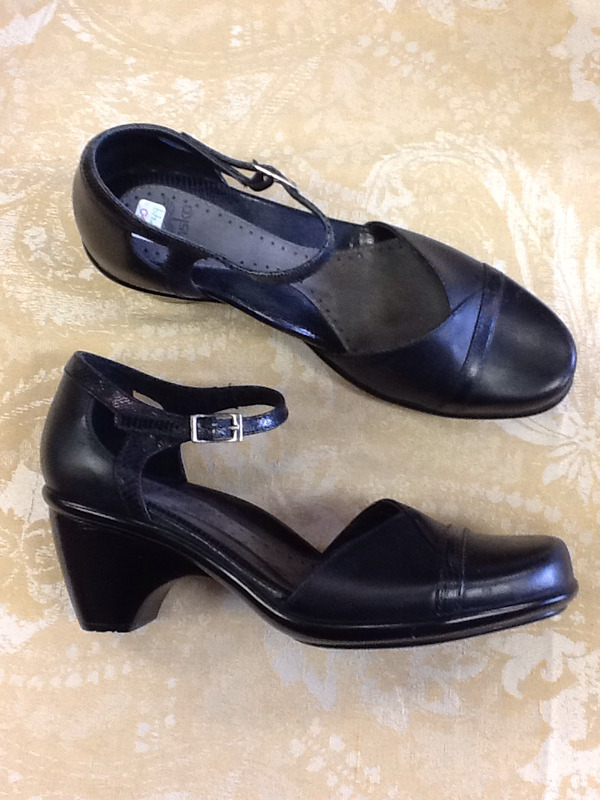 Black with large heel base and rubberized sole. Soft leather insole. Snakeskin print strap and front band detail. Pristine!